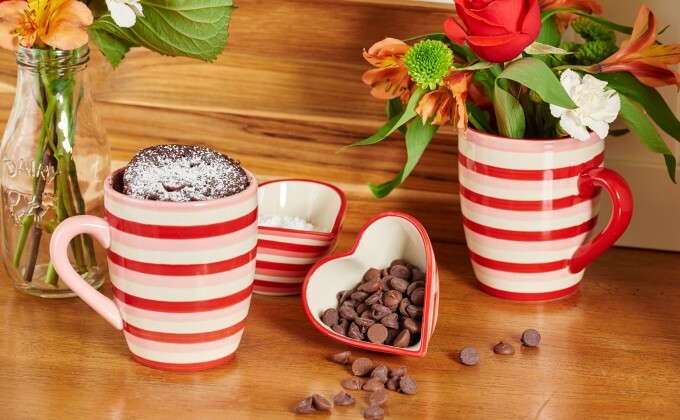 Place flour, sugar, cocoa powder, baking soda and salt in your temp-tations® Hugs & Kisses mug. Whisk with a fork. Whisk in oil, milk and vanilla until batter is smooth. Sprinkle with chocolate chips. Microwave for 4 minutes, or until cake has set. Dust with powdered sugar if desired. Serve immediately.